Get instant relief from pain and immobility due to injury due to sports, accident or surgical. Also treat effectively scar pain due any injury. Increase your sports efficiency by Olympic permitted treatment by MD specialist by acupuncture treatment in 4.5* star clinicin Nashik. No drugs or its side effects. Sport or accidental injury can cause severe pain, swelling, numbness, and an inability to put any weight on the injured limb. 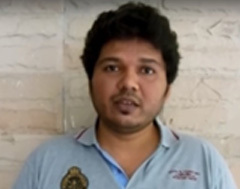 Acupuncture may provide instant relief as seen this muscle sprain treatment review If you are looking for “sports doctor near me” nearest acupuncturist is best place to go to. Emergency needs to be tackled as and when it occurs; immediately by rest to part and treatment carried out latter at sports medicine specialist. But most of time acupuncture treatment for pain relief followed by rest is sufficient. 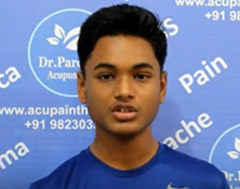 If a sportsman has sports injury during physical activity, first response is pain and immobilisation and he is supposed to be treated by acupuncturist or sports medicine specialist in sports medicine centre. 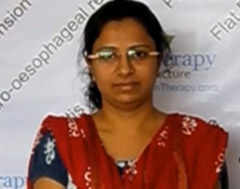 Acupuncture treatment in such acute state has proved to most effective. It may need to consultation sports medicine or orthopaedic surgeon for treatment at sports clinic. Sports medicine doctors have special training to restore function to injured patients so they can get moving again as soon as possible. Sports medicine physician also are knowledgeable about preventing illness and injury in active people. Although sports injury doctor do work with professional athletes, they also treat children and teens involved in sports and adults who exercise for personal fitness, as well as people who have physically demanding jobs, like construction workers in their sports injury clinic. Some sports injuries may require the attention of a specialist like sports med or sports medicine therapist. Ankle sprains, fractures, knee and shoulder injuries, tendonitis, exercise-induced asthma, Heat illness, concussions, and cartilage injuries In addition, sports medicine doctors can provide advice on nutrition, supplements, exercise, and injury prevention. 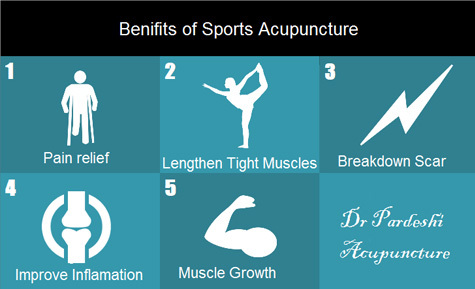 Many scientific studies have confirmed efficacy of acupuncture in sports medicine as exemplified below. Acute pain - Acupuncture gives instant and dramatic relief from pain. Chronic pain - We see many patients with chronic pain of sports injury long after injury occurred. That is unnecessary suffering in incapacitation for period gone. Acupuncture can treat pain acute stage which may not become chronic and also treat chronic pain if at all present. Enhance muscle efficiency like quadriceps. Runners, swimmers, and cyclists can also be helped to enhance performance. Reduce pain perception when required. is a complimentary blend of the modern sports medicine science and assessment, and specialized treatment techniques and acupuncture. It promotes enhanced athletic performance and improves range of motion by inclusive and intelligent approach to treating pain of sports injuries, injuries in work and postural imbalances. Using orthopaedic and manual muscle testing sports acupuncturists can ascertain the exact location of soft tissue lesion or pathology, muscle imbalance. Results are immediate which provides a quick return to activity and peak level of performance for the patient. For lasting results follow up treatments may be necessary to maintain optimal body functioning. We may also use postural assessment, soft tissue release and mobilizations, PNF (proprioceptive neuromuscular facilitation) stretches, and exercises to correct postural imbalances so that you quickly get back in the game pain free, prevent future injuries and maintain optimal results. We also teach techniques that can be beneficial for cyclists, runners, swimmers, and other competitive athletes. Surgical procedures, no matter how small, are significant health events that have physical and emotional effects. Surgery being stress creating event, acupuncture can alleviate anxiety and pain. Acupuncture can go a long way toward keeping people healthy before and after surgery. Benefits of acupuncture treatment in surgery will strengthen your immune system, calm you down, and decrease postoperative pain and side effects, help you recover faster, reduce cosmetic scars, and reduce internal scarring. Acupuncture can be effectively used preoperatively to reduce immediate postoperative pain, nausea and vomiting and reduce need of opioids and avoid side effects of drugs. It may also be used to alleviate pain, substantially after 8 to 12 hours of surgery. For treatment of pain after surgery, please let us know before surgery so that we can make it less stressful. 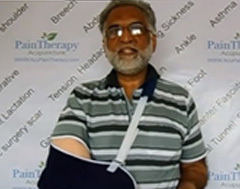 Dr Pardeshi Acupuncture Pain Therapy, Nashik has very effective protocol for pain treatment of accident injuries and sprain. Sometimes wounds take long time to heal or do not heal in months or years. Such wounds put emotional stress and physical burden on patients. Cause of chronic wound may be diabetes, pressure sores, poor circulation, neuropathy, and difficulty moving, factors that include systemic illnesses, age, and repeated trauma. Co-morbid factors that can lead to ischemia are especially likely to contribute to chronic wounds. Such factors include chronic fibrosis, enema, sickle cell disease, and peripheral artery disease such as by atherosclerosis. Chronic wound may also be a malignancy; for example, cancerous tissue can grow until blood cannot reach the cells and the tissue becomes an ulcer. Another factor that may contribute to chronic wounds is old age. Treatment is directed to cause of chronic wound. 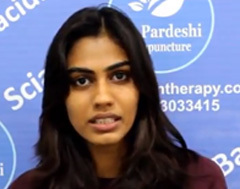 Chronic non-healing wound or non healing skin ulcers treatment is effectively possible at Dr Pardeshi Acupuncture Pain Therapy in Nashik as seen this review. Scars are a response to an injury to repair and heal by the body. It is process of filling gap in injured tissue. In normal situation mass of scar tissue would be just sufficient to fill up the gap without bulk or pain. However sometimes body does not stop forming collagen and continue to do job of repair adding bulk of scar forming tissue or sometime keloid and giving pain. Scar maybe due to surgical procedure, mechanical injury like in accident, burn due to heat or chemicals. It may also be due to constant micro-tearing over time such as what may occur with an individual who is constantly exercising without much rest in between workouts or “forgets” to stretch after a workout. Scars may look very small or big which can be an illusion. Scars can actually be quite thick under the skin, wide, long and may be mobile or very immobile. Scar may present as chronic pain in and around the area or potentially away from the area. 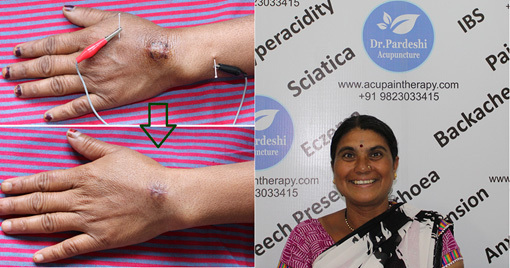 Therefore treatment of scar may become difficult at times. Patients may feel chronic tight feeling while stretching. The common area where the individual may feel tightness is in the hamstring (back of the thigh) regardless of how much they stretch that muscle. This individual may have full range of motion or even above average range of motion and still feel the muscle is tight. Tight, thick scars can cause a patient to “shift” the way they walk, stand or sit. This postural issue can lead to headaches, neck, shoulder and lower back pain. Swelling of scar if tight enough can press down or “stick on” structures such as nerves and blood vessels, causing pain. Scars can also cause fluid to pool in an area. It may prevent the movement of fluid out of an anatomical area.